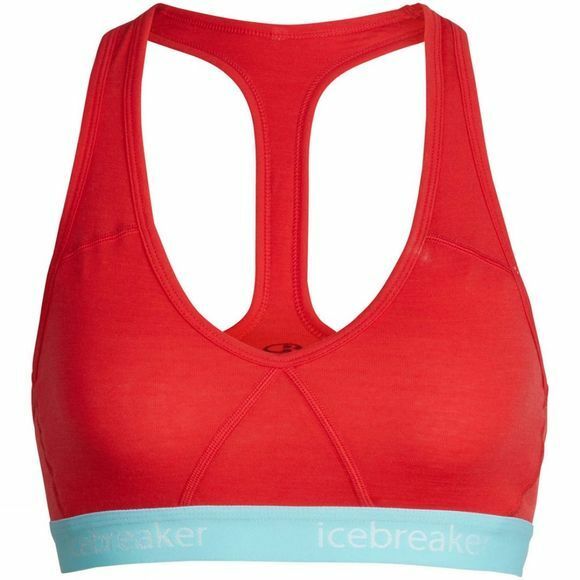 The sporty Women's Sprite Racerback Bra, from Icebreaker's Premium Underwear collection, is built from ultralite merino with a touch of Lycra for a great fit. This fully lined pull-over style bra has racerback straps that won't slip, and the soft band gives support without constriction. The sporty stripes at the side seams add to the athletic styling.